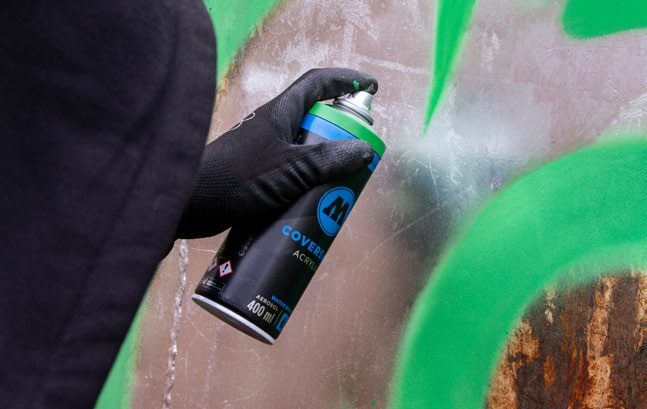 The COVERSALL™ WATER-BASED is our latest development: additionally to the known MOLOTOW™ technologies anti-drip™, no-dust™, covers-all™ and all-season™ a new technology called ULTRA PERFORMANCE TECHNOLOGY is following. This means the highly opaque and ultra-fast-drying paint works even on humid BURNER™ chrome paint. The exchangeable caps, in combination with the proven Soft Vari-Valve™, deliver a constant output and a very smooth handling – for all applications. The sophisticated and strongly pigmented water lacquer of the COVERSALL™ WATER-BASED even works on wet BURNER™ Chrome. Thanks to the ULTRA PERFORMANCE TECHNOLOGY you can apply the COVERSALL™ WATER-BASED also on wet spray paint. There's no need for drying times - you can realize your outlines immediately. 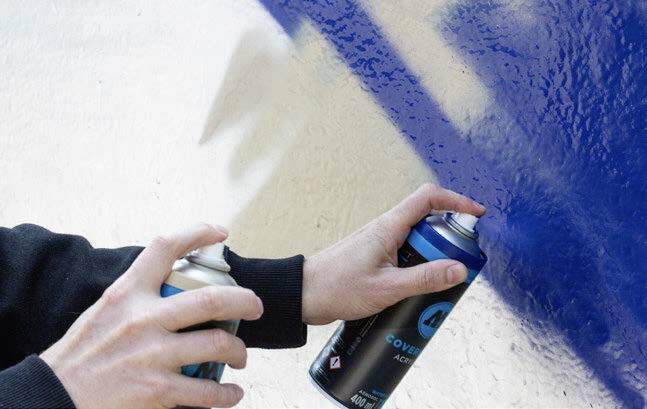 It's possible to stay incognito with the low odor spray paint of the COVERSALL™ WATER-BASED. The new Soft-Vari-Valve™ lets you handle the can smoothly and controllable even in complicated situations. Additionally, the COVERSALL™ WATER-BASED is extremely economic.